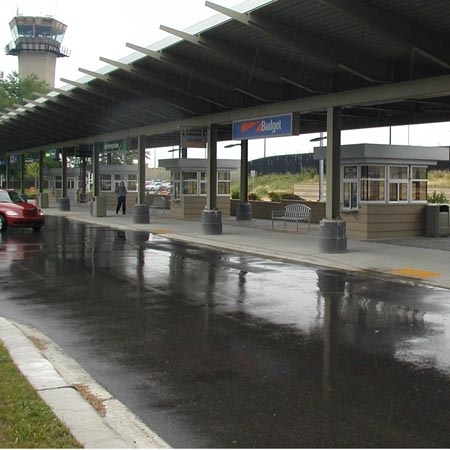 Needed in a hurry, Little Buildings was able to meet the customer's delivery schedule in time for the ribbon cutting ceremony at the airport for both the new parking garage exit parking booths and the rental car companies. 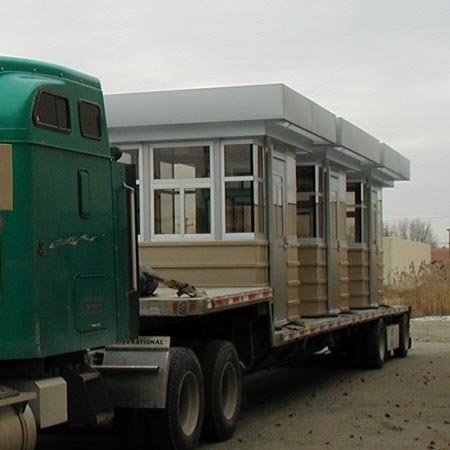 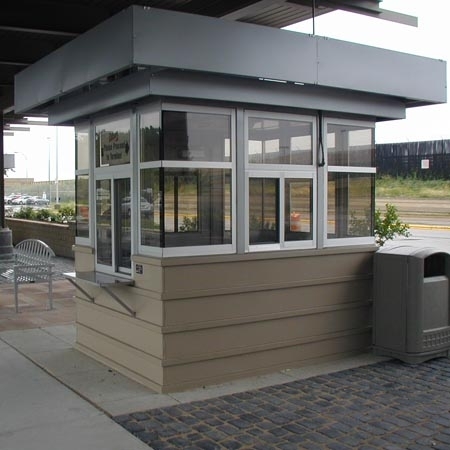 Featuring custom exterior ribs and special glass treatments ensured that these parking booths or cashier booths did not look ordinary like some competitor's buildings. 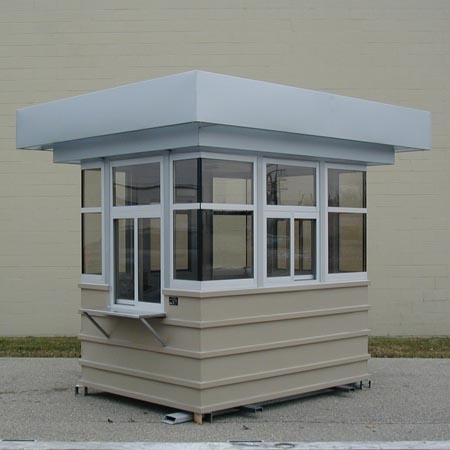 Double canopy fascias, two-tone paint, and anodized aluminum gives these buildings a great look.